To take part in the awards there is a cost for schools, which may be covered by local funding, national funding, grants, parental contributions or schools directly. To discuss funding, Year 1 pilot costs and support please contact us. 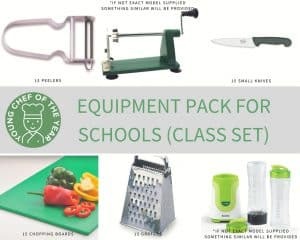 *If your school has more than one form entry, extra classes can be added for an additional £100 per class (up to 30 pupils) and extra Equipment packages can also be purchased please do not hesitate to contact us to discuss your requirements.